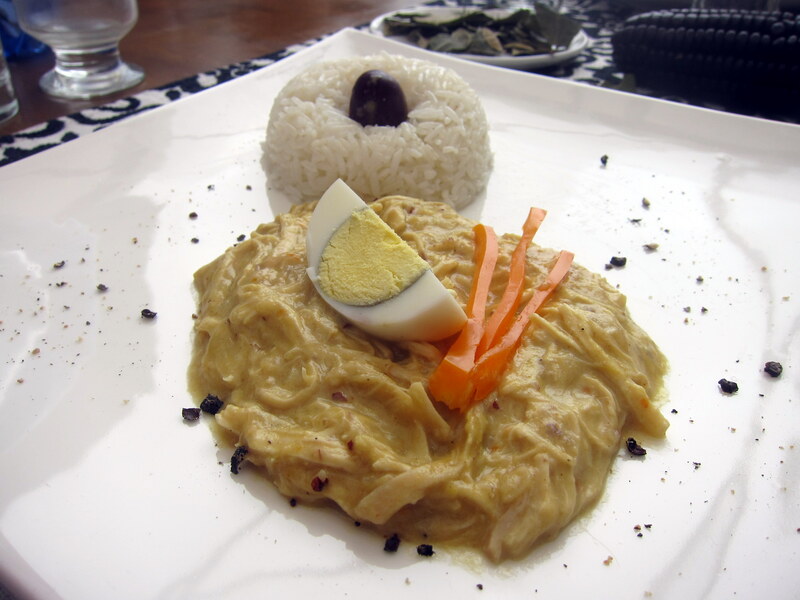 Aji De Gallina is a traditional pulled chicken dish with aji sauce that we prepared as the main entrée in the Peruvian Cooking Class in Lima. 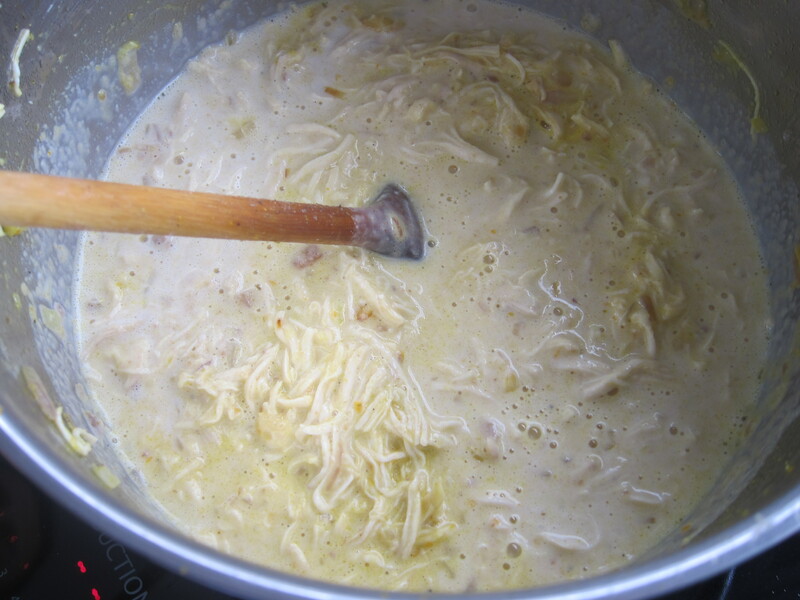 It is a stew of chicken strips in a cheese sauce served with rice and boiled egg. Because of time constraints, our instructor pre-cooked the chicken itself prior to our arrival. Chef Yurac basically boiled it for 20 minutes or so in stock and then let it rest until it was time for us to shred it into strips and cook it. Even with the added time, this recipe is still very manageable especially if you have a couple of people helping out to dice/shred/stir. 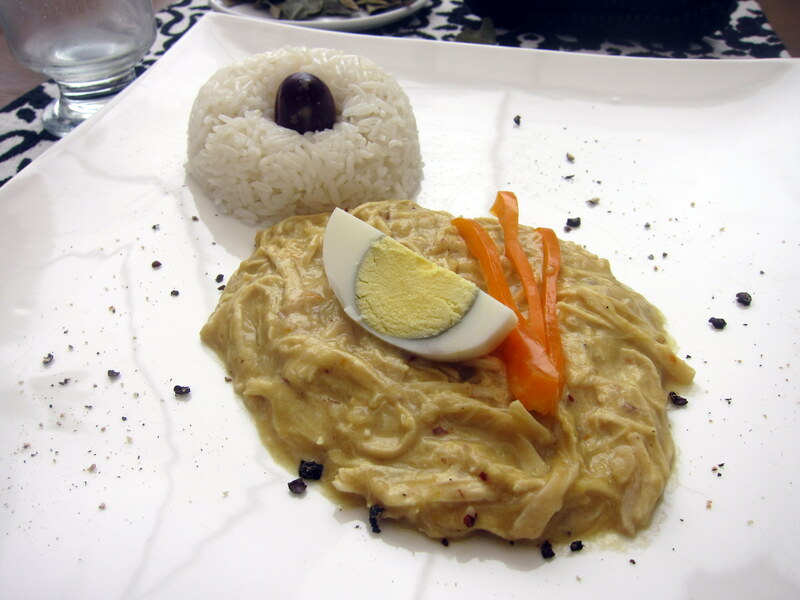 Try it with Papa A La Huancaina and Tiradito for a complete Peruvian meal! 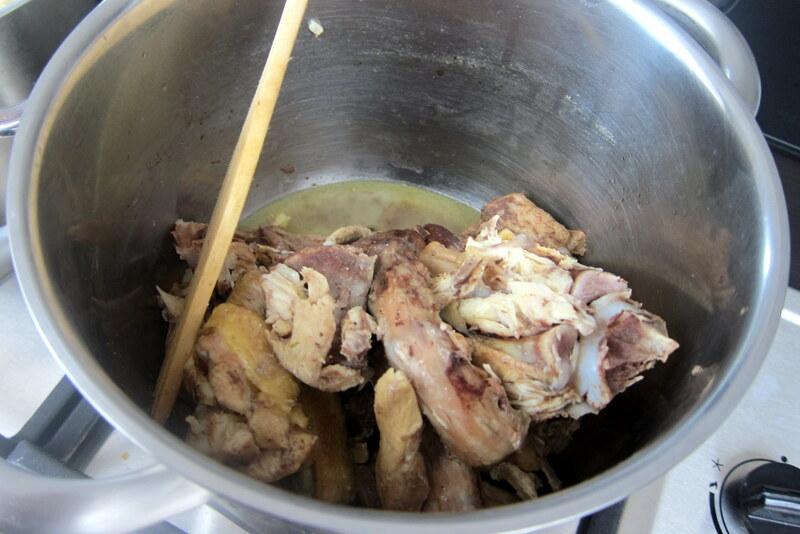 Cook the chicken in 1 liter of water with the stock cube until it is tender (about 20min). Reserve 2 cups of the chicken stock. Cut the bread into pieces that can be easily be puréed. Put the bread, milk and the 2 cups of chicken stock into a blender. Add nuts, salt and pepper and blend until creamy. 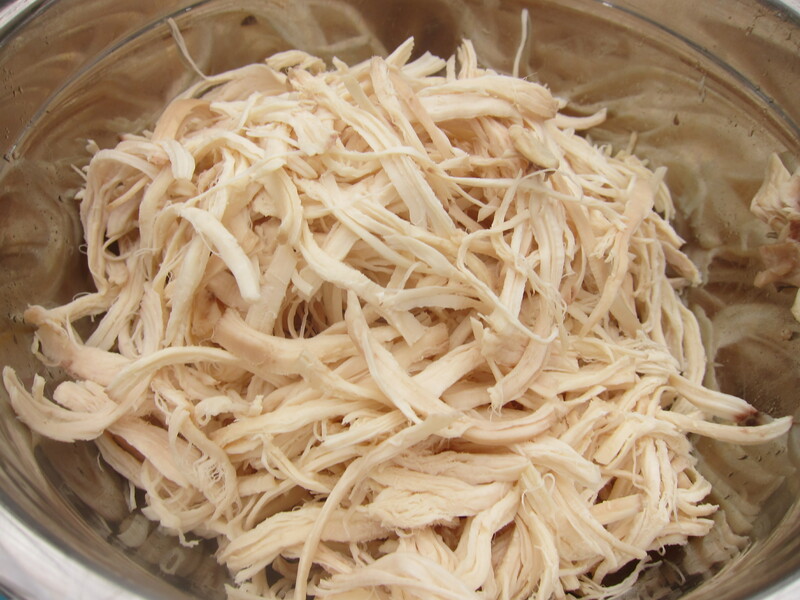 Take the cooked chicken with your hands and separate along its fibers so that you get thin threads. Heat some oil in a saucepan and fry the onion, garlic, and add the chili paste. Add the chicken to the pan and sauté, then add the liquid from the blender and ground Parmesan. Cut potatoes into 1cm slices and put on a plate. Pour the liquid with the chicken over it to that the potatoes are fully covered. Serve with the boiled eggs cut into halves, olives and rice.